Southport Corridor's most desirable blocks are seeing a bit of a construction boom. 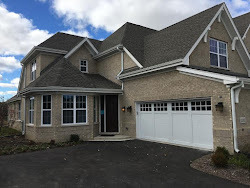 Last week we wrote about new homes on North Lakewood. W also see new and future projects on North Wayne. 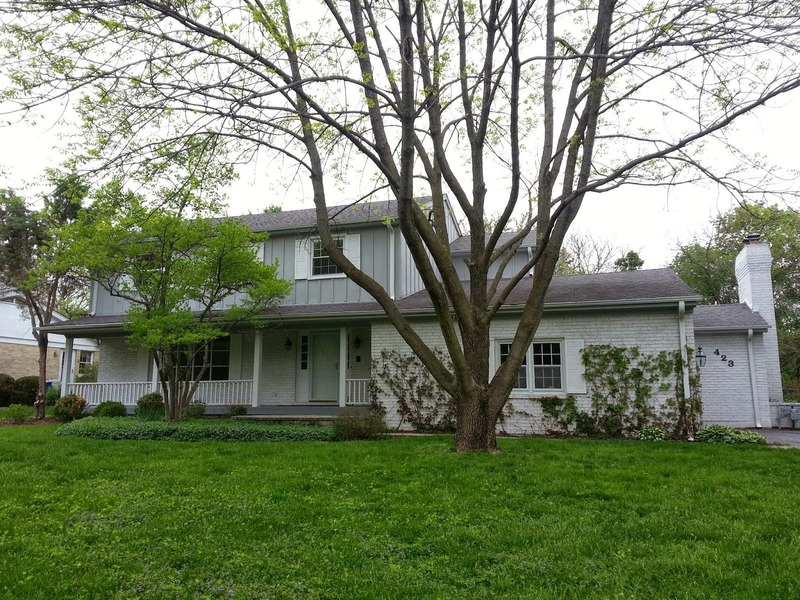 The original two-flat building at 3740 N Wayne on a standard lot (25'x125') above was sold last year for $550,000. It was torn down to make way for this new construction luxury home in progress (shown above). New construction single family homes, in our observation, have been on an upswing in 2011. The priciest North Side neighborhoods with the highest ranked schools like Blaine Elementary continue to build new and gut renovate. The 25'x125 vacant lot at 3651 N Wayne was also sold last year for $525,000. A new construction house is underway (shown below). There are several more lots and recently purchased two-flats prime for new construction or gut renovation in Southport Corridor. For example, 3644 N Wayne is a vacant 25'x125' lot now under contract with an asking price of $524,900 and pending closing. All sales statistics gathered and analyzed by Eric Rojas, Real Estate Broker from MREDLLC.com. All photos Eric Rojas, Real Estate Broker. One of our favorite kid hang-outs is the Peggy Notebaert Nature Museum in Lincoln Park. Here's a few shots from a beautiful fall day last week. We had more fun outside than inside this time! The butterfly habitat from the outside. Lincoln Park: Lighthouse, lookout or London Tower? I'm sure Lincoln Parkers are well aware of this home. Personally, I'm mesmerized by it. The tower surely must be the subject of ridicule from the opinionated. However, even though I would never think about building this structure, I would certainly enjoy it if I had it! There must be some terrific home on Martha's Vineyard that inspired the owner to create that perch. Or, family is banished to the tower when in bad favor. I like the later. 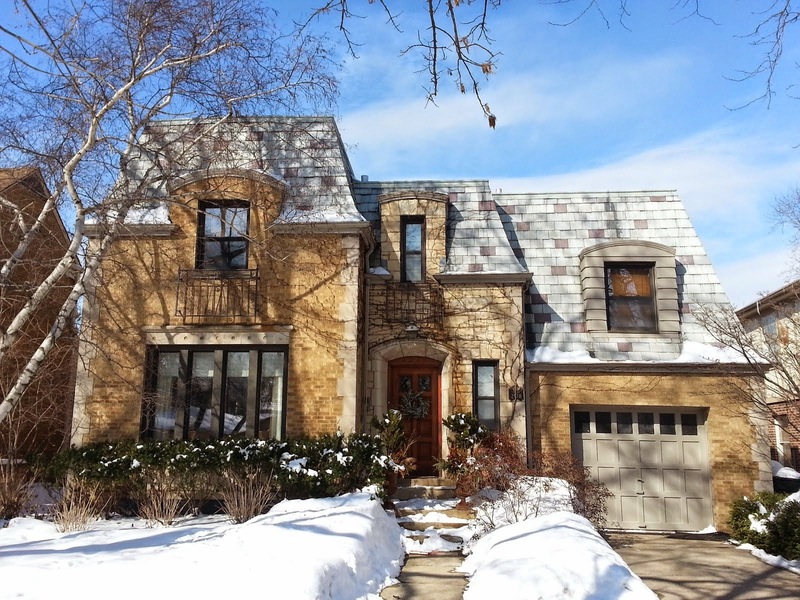 We'll be showing our clients Evanston and Wilmette houses on Friday. We love Chicago but sometimes the North Shore may be a better option for home buyers. 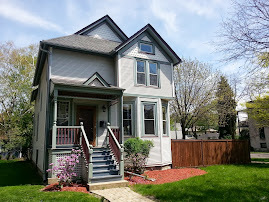 If you are interested in your options in Evanston and Wilmette, please contact us. 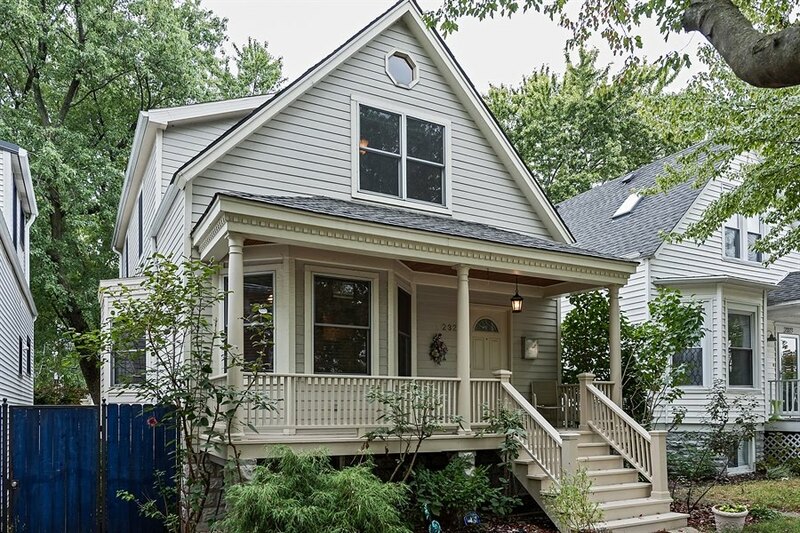 We'll be taking a look at houses near the Main Street Metra station in Evanston and then heading to Wilmette near Centennial Park. 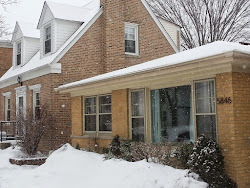 Take a look at a recent day in Wilmette here! UPDATE: RENTED in one week, full price. 4656 N Winchester #3: Available December 1st! $1,550 a month. Top floor gut renovation condo unit. 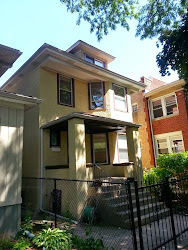 Spacious, open kitchen, large dining room, two decks and one block to Damen Brown Line stop. One year lease minimum, pets okay (small preferred). Call Eric 773-687-4646 for a showing and application. Calls only please. 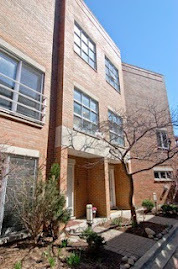 Minutes to all of Ravenswood, Lincoln Square, Northcenter restaurants, bars, amenities and transportation. Great location! 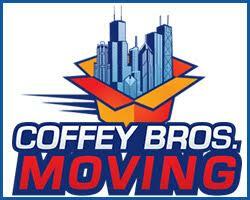 Call Eric 773-510-1597 for a showing and application. Calls only please. I spotted these two grey-stone homes in the midst of gut renovations. Located on the popular 3700 block of North Lakewood in the Southport Corridor neighborhood of Lakeview, these new luxury houses will command prices around $2 million. The single family home "conversions" are gut renovations with the existing facade and some side common brick remaining. A similar completed home on the block is currently listed for sale at $2.4 million at 3741 N Lakewood. Grey-stone gut renovations are very popular in the highly ranked and coveted Blaine Elementary school attendance boundaries. Single family homes in Blaine have a median price over $1.2 million. One can feel instant community ties with the active school, retail, restaurant and neighbor groups all very welcoming. The area offers something for everyone...nightlife, Wrigley field, family life or take it slow on the leafy residential streets. All photos Eric Rojas and Bob DePalma, Real Estate Brokers unless otherwise noted. Call or email us for information regarding single family homes or attached homes for sale in Southport Corridor or other North Side neighborhoods. 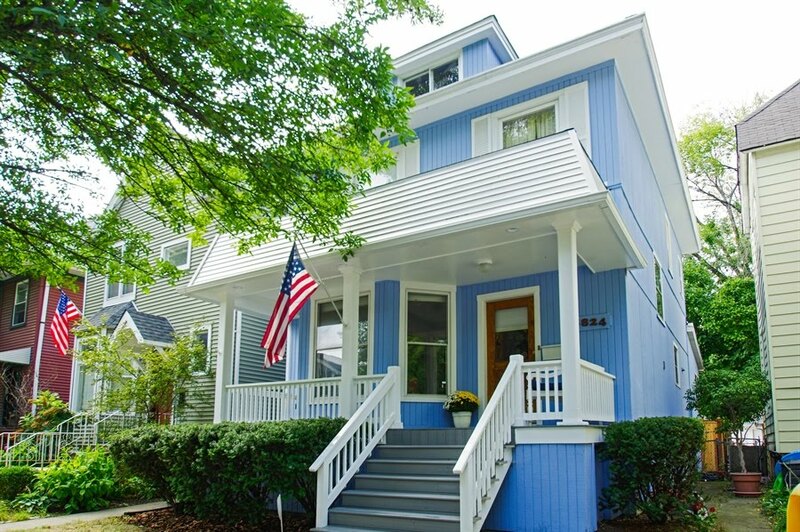 Click HERE for more Lakeview real estate information, neighborhood videos and more! The North Ravenswood Avenue mixed residential and commercial corridor is always good for flashes of interesting architecture, gardening or art. Many home renovations and new construction projects continually change the landscape. It's makes a terrific walk or ride. These converted loft homes at the 3900 block of North Ravenswood in Lakeview (1754 W Byron) is one of many commercial spaces made residential along the Ravenswood corridor spanning western Lakeview, Ravenswood and western Edgewater neighborhoods. The original and huge commercial garage, red entry door and cool fence are a few details that keep your eyes moving. Large windows and doors face the outdoor space. Great fence! The building was sold in 2001 for $636,750. The property was renovated into two units. 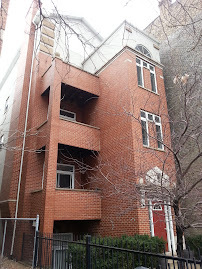 Two years later in 2003 Unit B (a two story, two bedroom large loft) was sold. I found this interior photo of one of the units by the developer group. I've passed these homes dozens of times. For years, I thought it was a single family home conversion. In any event, it's a fine example of the creative license North Ravenswood Avenue has afforded both residential and commercial property owners. You never know what you'll find inside the properties. North Ravenswood Avenue homes are framed by the green of the Metra track embankments. The former Ruth Duckworth home at 3845 N Ravenswood. Photo taken early this month. Renowned sculptor Ruth Duckworth's enormous former loft/ studio home at 3845 N Ravenswood in Lakeview is now a gut renovation in progress. The industrial building turned live/work loft on a 50x108 lot was sold for $1.2 million in December 2009. Ms. Duckworth passed away in 2009 soon after the house was listed for sale. I was an admirer of Ms. Duckworth's work and met her in 2005 at an art installation ceremony at Northeastern Illinois University. 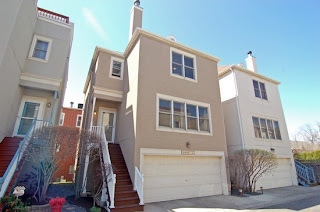 The late 2009 sale of $1.2 million was comparably a bit high for a lot of this size, location and property features (with unconventional space and only one and one half baths). However, the new owner may have been able to purchase some original sculpture that remained in the workshop. You may also view some of Ms. Duckworth's original tile in Dennis Rodkin's Deal Estate video that will hopefully be re-used in the new single family home. The demolition and building permits for an addition have eliminated the original mature garden on the rear of the short lot. I'd love to hear about the plans for the home, original art and tile from someone involved in the project. I can be reached by email erojas @ kalerealty dot com rather than comments here as well. The property is at a convenient and aesthetically interesting location. The mixed residential and industrial stretches of the North Ravenswood corridor coupled with the many gardens along the Metra track embankment make one of the more unique settings on the North Side. This is close to grocery, CTA Brown Line and various Lakeview and Northcenter retail, restaurants and services all within a few blocks. 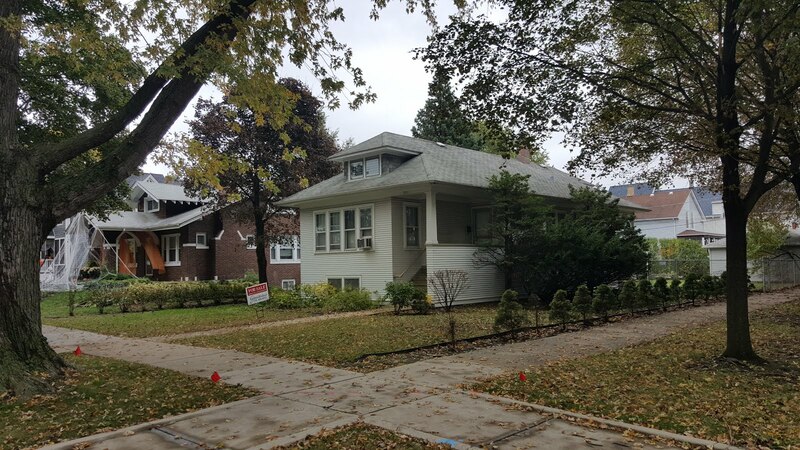 We recently received a contract and are now pending closing on 1808 W Diversey in Picardy Place. 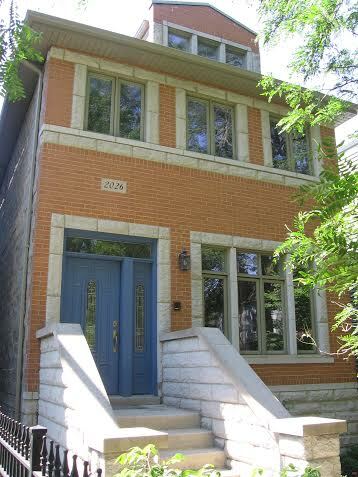 The single family home was listed at $449,000 and borders the Northcenter, Lincoln Park and Lakeview neighborhoods. If you are planning to sell or buy a home please give us a call or email. Get the right information, understand the realistic expectations and plan now. 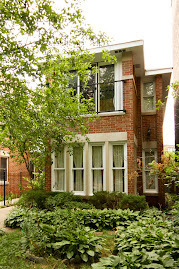 Watch the Video of 1808 W Diversey House L in Picardy Place! 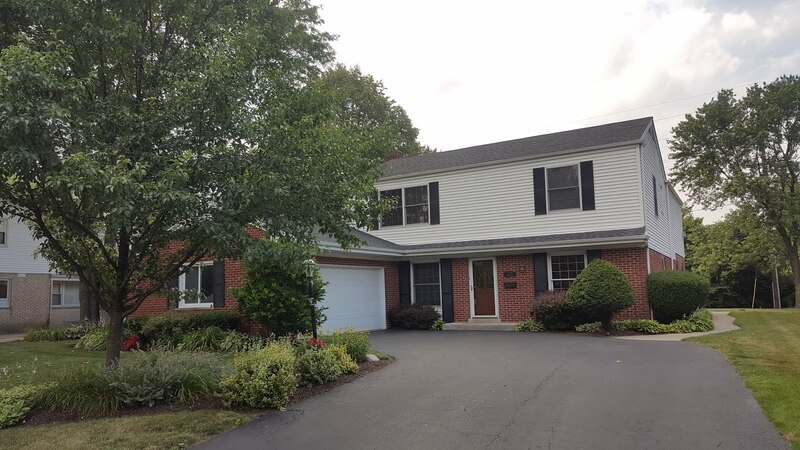 Many people referenced they viewed our video to understand the gated community this home was located in, learn about some of the neighborhood and check out the flow of the house. We have taken every opportunity to enjoy the parks and sites while showing property and working on our deals across the North Side. Here's a few photos from the Lakefront Parks in Lincoln Park late last week. Nothing beats the weather we're having this fall in Chicago! 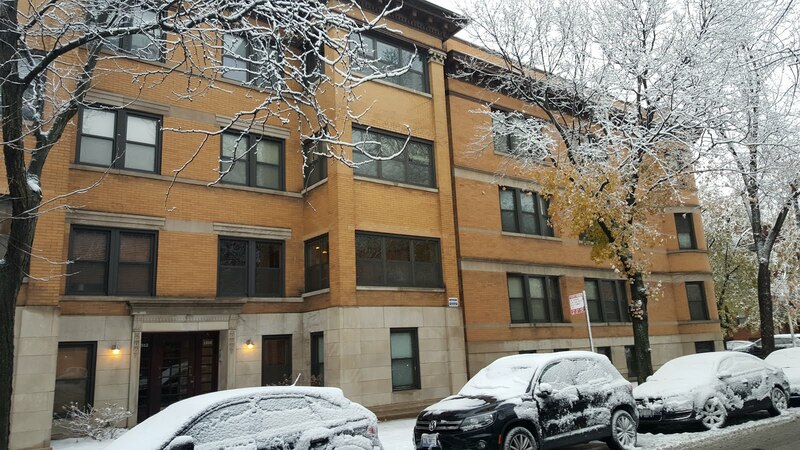 Read more of our neighborhood and property posts in Lincoln Park. Catch more Chicago Local posts that show little things unique to the North Side and downtown.